For the past two weeks, I’ve simply thought I was in some Podunk town in Northwest Missouri. And, well, I kind of am. At one point in time, though, St. Joe was quite a bustling place. In the mid-1800s, it was a last stop for supplies and lodging before pioneers headed out west on the Oregon Trail. It was also the second US city to have electric streetcars. Until after the Civil War, it was the westernmost point in the country accessible by rail. During prohibition, outlaws would come spend time here since it was a smaller, less-patroled town about 40 miles north of Kansas City. Last night, I learned about some famous faces and places from St. Joe from some worship team members at Word of Life Church. Here’s my list! I already knew about this one, because St. Joe advertises it like crazy. There’s a Pony Express Museum, which I haven’t gone to but I guess I will at some point this summer. It was a failed business, but hey, it’s something everyone knows about! This is the second most famous piece of trivia about St. Joe. There is apparently a museum you can visit, and you can see where he was shot. James was living under the alias “Mr. Howard” at the time of his death. 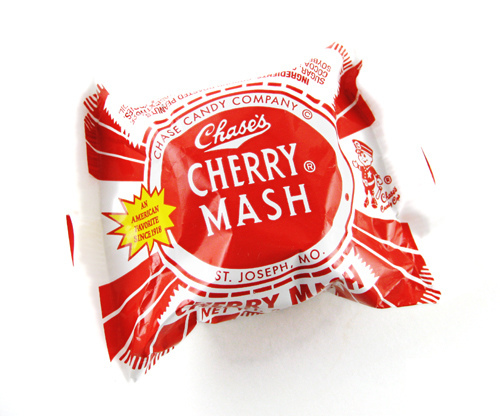 I’ve never heard of Cherry Mash, but apparently it’s a candy that has been around since the 1800s. Maybe it’s a Midwestern thing, or maybe I’m just too young. Either way, the candy itself sounds kind of nasty: cherry flavored, nougat-looking stuff inside of a nutty, chocolate shell. Doesn’t sound like my thing. This one’s pretty impressive to me! The most trusted man in America was the child of a small-town dentist: Dr. Walter Cronkite (the famed anchor was a Junior). And that’s the way it is. 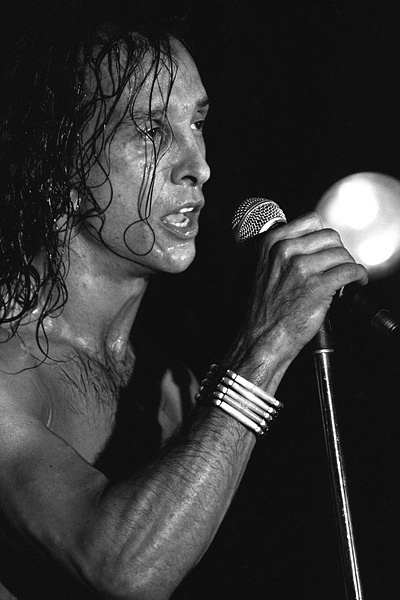 Lead vocalist for the 70s rock band “Kansas,” Steve Walsh was born in St. Louis, but was adopted as an infant and raised in St. Joseph. He wasn’t a founding member, but he sings lead in all the band’s best-known songs. Although John Stetson hailed from Pennsylvania, the master hat maker set up shop in St. Joe, once upon a time. The company’s biggest factory is in Texas, but a factory outlet still operates right here in St. Joseph. Never heard of Stetson Hats? Well, you’ve seen them! Humphrey Bogart’s fedora? Stetson. John Wayne’s ten gallon? Stetson. Harrison Ford as Indiana Jones? Yep, Stetson. That’s right folks, Eminem himself. He claims to be from Detroit, but really he didn’t move there until later in his adolescent years. I didn’t believe he was from here at first; it took some major convincing. Someone told me that Mr. Mathers is actually in their mother’s middle school yearbook. He spent some time in St. Joseph, some time in Savannah (one city north of here), and some time in Kansas City before moving to Michigan. And that’s the list! Eight things worth mentioning. Not a ton, but still fascinating. Hopefully these few bits of trivia were fun to learn about. St. Joseph’s a very, well, interesting place. It’s backwards and slowed down and sometimes even a bit boring, but learning about the claims to fame has been entertaining! This entry was posted in Uncategorized and tagged celebrities, eminem, famous people, famous places, history, landmarks, midwest, missouri, movies, museums, music, news, outlaws, pioneers, Television, US history. Bookmark the permalink.